Both Sides of the Coin: Is the Harriet Tubman $20 Significant or Just Plain Ironic? One week after Equal Pay Day took center stage, issues of women and money have come to light yet again. Treasury Secretary Jack Lew announced Wednesday that Civil War-era abolitionist and conductor of the Underground Railroad, Harriet Tubman, will take her own sort of center stage—on the front of the $20 bill. Tubman will be the first African American and the first woman in more than a century to appear on U.S. paper currency. Lew’s announcement also outlined plans to redesign the $5 and $10 bills. According to the U.S. Department of the Treasury, the back of the new $5 bill will pay homage to events and individuals associated with the Lincoln Memorial. Among those to be honored on the reverse are Marian Anderson, Eleanor Roosevelt, and Martin Luther King Jr. Similar to the five, the $10 bill’s anterior will stay the same while the back of the note will experience a facelift—a lift that will include many faces. Alexander Hamilton, who is credited with helping to establish the Treasury Department, will remain on the front of $10 bill, much to the delight of fans and the creator of the current Broadway smash hit, Hamilton. While Hamilton’s prime real estate on the $10 bill will stay put, the back of the bill will feature various leaders from the women’s suffrage movement, including Sojourner Truth, Susan B. Anthony, and Alice Paul, to name a few. Despite these additions, the decision to place Tubman on the front of the $20 is one that is drawing the most attention, causing some people to reflect on the irony of the Treasury’s selection. The push to get Tubman’s portrait on U.S. paper currency was ignited by Lew’s invitation to the public nearly one year ago to help him decide which female historical figure should secure the spot. In response, the nonprofit organization Women on 20s was created to influence decision makers to “dedicate the $20 bill exclusively to women.” The organization hosted an online election, during which individuals submitted their nominations of females to potentially to be recognized. 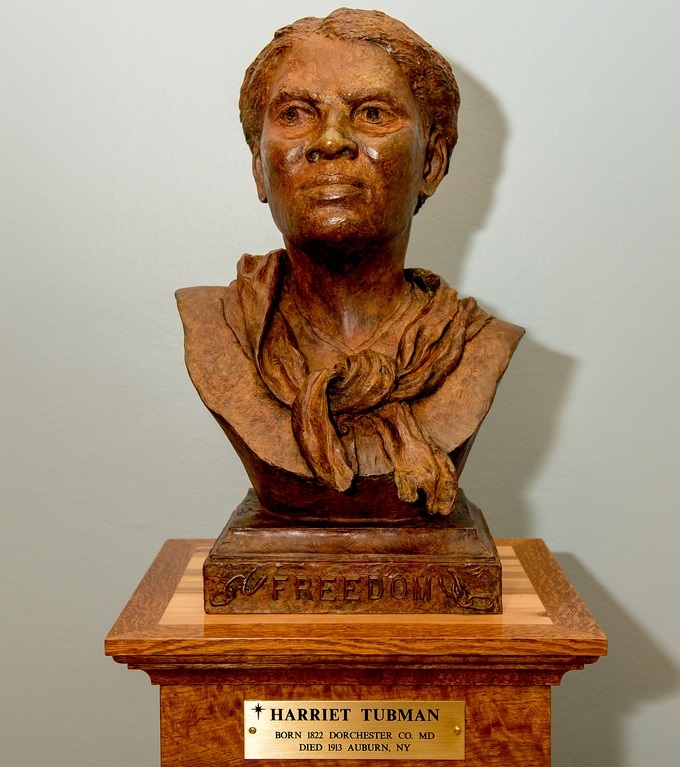 With more than 1.2 million total votes, names like Eleanor Roosevelt and Rosa Parks were among fan favorites; however, it was Harriet Tubman that received the majority vote. Although Harriet Tubman’s placement on the bill will not necessarily be exclusive (Andrew Jackson will stay on the bill, albeit on the other side), her presence on the note gives way to several thought-provoking paradoxes. Opposition to the Treasury’s moves has been voiced by some Republicans and conservatives, who are offended by the “political correctness” of the choices. However, as the Wall Street Journal observed in an editorial, it’s notable that a Democratic administration chose to remove a populist and the founder of the modern Democratic Party from the $20 and replace him with an evangelical Christian Republican woman known, among other things, for her passionate defense of Second Amendment gun rights. Irony lies in that the Treasury’s decision just happened to fall on the heels of the previously referenced Equal Pay Day, a national campaign, covered last week in NPQ, which generates awareness around the pay disparities between men and women. While the monetary value doesn’t change, Tubman’s portrait on the $20 bill is a big win for many in the gender equity space. However, thinking that a woman placed on U.S. currency will in turn prompt employers to start paying women equally with the same currency is perhaps far-fetched, at least in the immediate future. On one hand, replacing the face of Andrew Jackson—a man whose wealth was made on the backs of enslaved black people—with Tubman’s image sounds like an idyllic reversal of fortune. But in examining Tubman’s life, it’s clear that putting her face on America’s currency would undermine her legacy. By escaping slavery and helping many others do the same, Tubman became historic for essentially stealing “property.” Her legacy is rooted in resisting the foundation of American capitalism. Tubman didn’t respect America’s economic system, so making her a symbol of it would be insulting. And to Jones’s point, symbolism bears great significance, especially in matters such as these.